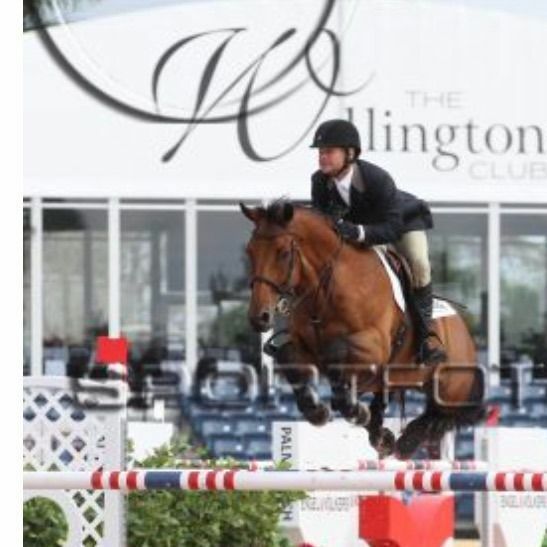 Hi, I’m Michael Hochstetler an international 5 * licensed Grand Prix rider and trainer . I take horses that nobody wants and give them a second chance in life. I had a little criminally minded ill mannered athletic horse named Harley,that was literally left at my barn out of frustration. This horse had gone through ALL the big time international trainers- no one could get him over an jump and those that could, couldn’t do it again!!! For whatever reason, he and I were instantly bonded. 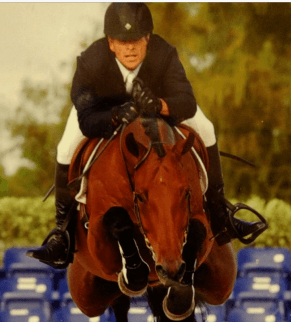 As a professional rider and trainer, I am confident that Robert and the Pure Harmony Pendant can be game-changer for you and your horse as well. He can even work with you and your horse remotely over the phone without being there in person. I have experienced great success with Robert’s remote work recently with 3 world class horses, that I am currently training. While a lot of people are looking for an instant fix, the results with the Pure Harmony Pendant are incredible and not like anything I’ve ever experienced. I feel that every horse and trainer would see noticeable improvements and benefits. It’s definitely worth it. Thanks a bunch for the pendant. I just received it and harmonized it. I feel so much more relaxed in my nervous system. I feel like I’ve been drugged into relaxing. It’s the oddest and newest feeling for me. So far things are looking up. I can not believe this pendant does this much for a person. It’s truly amazing. It’s helps me feel extremely relaxed and tired in the evening and want to fall asleep, which is very new for me. I am a international 5 * licensed Grand Prix rider. There are long days in Florida heat being both a rider and a trainer. There were days where I was foggy and groggy and tired. Within minutes of harmonizing with my Pure Harmony Pendant, I felt lighter, taller, clearer and brighter. Even the colors are more vivid! I have more energy and stamina and most all- hope. I feel that being harmonized with the horses that I am training and riding both in and out of competition, is super important. I feel as though we are working together in harmony as one, instead of working against one another. It’s made a huge impact all around. 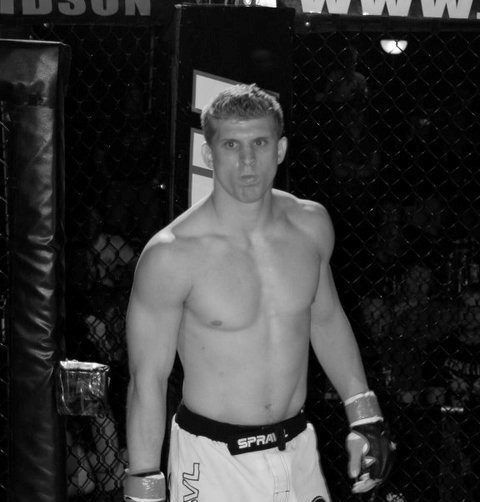 I am a well-known MMA fighter from South Dakota and the SDSU cheer captain. I met Robert while working at Perkins one night, and he explained the benefits of the pure harmony pendant. Of course, it sounded too good to be true, but after trying it out I was proven very wrong. He asked me to keep track of the results over the next 4-5 days, so here they are. I lost 4 pounds in the first 4 days, and my shoulder injuries from multiple dislocations over the last 5 years also disappeared by day 5. My jaw and knee had been bothering me for the last 2 weeks; those were both cleared up overnight. My flexibility increased quite a bit throughout my body as well. I have continued to use this pendant for 2 weeks now, and have worked out strenuously day after day, and have felt significantly decreased muscle fatigue. I also got one for my girlfriend after he explained to me that there were emotional benefits for couples who were harmonized. After wearing for 3 days her asthma cleared up to where she could run further than she has in years. And even after the first night, we solved all our past relationship dilemmas and bonded quite nicely, a happy girlfriend makes a happy boyfriend! I have also allowed the members of my gym, Dragons Den of Mixed Martial Arts, to give it a shot as well, they have all experienced similar results, and we would all like to thank Robert Marking for the opportunity to experience optimum health. As a result, physically I have less joint aches as well as having considerably less muscle tightness and fatigue. I’m definitely more flexible in my pre-workout stretching, which is important. As an active water-skier, I find myself better prepared to attack the slalom course, both strength- wise, endurance- wise and mental alertness. At the gym, I’m now able to challenge myself by adding more weights with less effort and my intensity in my 1-hour cycling class is at a much higher-level. What’s really amazing, the next day after workouts, I have very minimal to none muscle soreness! To supervise my initial “Harmonizing”, I went to my Chiropractor/ (AK) Applied Kinesiology who has been working on me for over 2 years. This same Chiropractor has worked on many professional athletes and sports teams. He performed a very thorough examination of me which included testing my spinal alignment, meridian & organ function, food allergies, and range of motion, etc. muscle tightness. The muscle tightness was mainly due to scar tissue from an old torn hamstring and shoulder surgery. It must be noted that I have been tested with these same imbalances for nearly 2 years now and have undergone many types of treatments to correct these imbalances. After the 1-minute “Harmonizing” process was completed, the Chiropractor/AK rechecked all my imbalances again and every one of them was now balanced. My spine aligned on its own and didn’t require any other adjustments. My food allergy to dairy was gone. My adrenals and liver were tested to be working perfectly. The range of motion in my leg due to my torn hamstring that was at 50% for nearly 2 years, was now at nearly 100%. This is what really WOWed both of us, watching my leg easily stretch out to full extension, the first time since the injury for nearly 2 years now. Both of us were amazed. The Chiropractor being very thoroughly checked and rechecked all of the imbalances just to make sure that he did not miss a thing. All of my imbalances that I came into his office with were all corrected by the “Harmonizing” process. One last test that he performed was to see if the Pure Harmony Pendant actually protected me from Electromagnetic Radiation. The results of the tests clearly showed that the Pendant also protected my body from Electromagnetic Radiation. Bottom line, as I continually strive to seek personal optimal wellness, both body and mind, the pendant has definitely complimented and enhanced my overall goal of total health balance. I’m now harmonized and I’m sold! I have been heavily involved in Athletics my entire life and am amazed by the results that I have gotten from being harmonized. 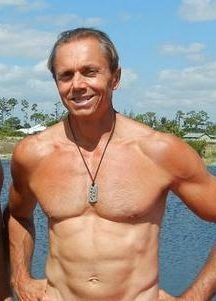 Before getting harmonized, I had just completed the p90x program and thought that I was in pretty good shape. I initially got harmonized just because I wanted to get rid of my hidden food allergies to dairy and eggs that were causing me to have a stiff neck and shoulder most of the time. By getting harmonized, not only did I get totally rid of my food allergies and my chronic stiff neck and shoulder, but I also dropped 8 lbs of body fat within the first 3 weeks and also had major increases in my endurance, strength, and speed. I thought for sure that I was going to hit a plateau, but I am continuing to get stronger and leaner every week. Playing at the Division 1 level is demanding and traumatic to the body, but since being harmonized the impact has no effect. Think about having full strength for every lifting session, practice, or game. Unbelievable is all I can say, unbelievable! I’m a former varsity athlete at South Dakota State University. After receiving a high ankle sprain playing basketball, a friend and a former varsity athlete Aireus Stephenson told me about Robert Marking. Aireus told me how he had gotten great results with Robert and suggested that I meet with him. I got in contact with Robert in hopes he could help me with my sprain. 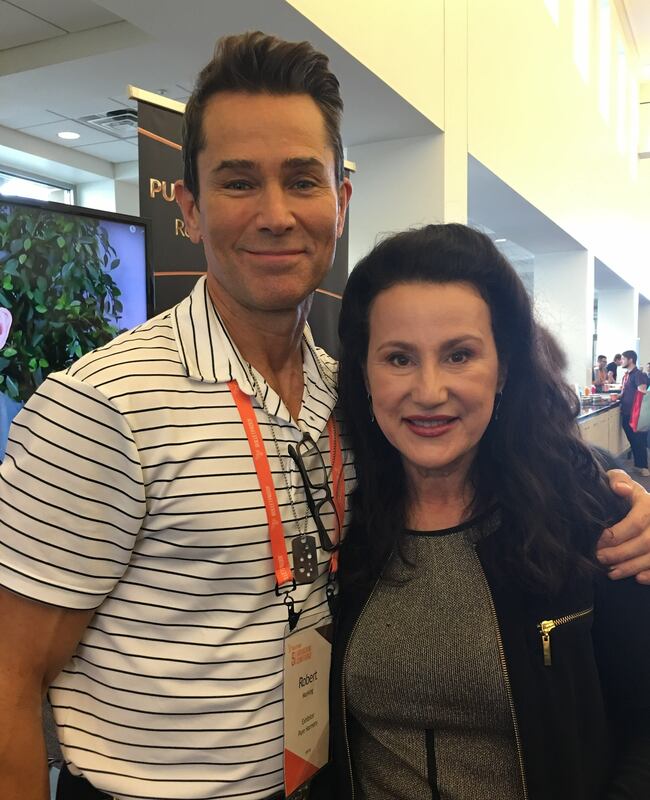 When I first met with Rob, he checked certain points on my body in an attempt to discover different imbalances including hidden food allergies that could possibly be hindering my performance levels. 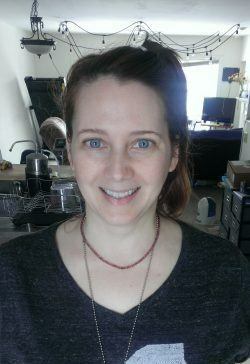 After these tests, Rob gave me a Pure Harmony Pendant that he felt would help to get my body back into balance, including my sprained ankle, and to help clear my suspected hidden food allergies. To be honest, I was a bit skeptical at first but after wearing the pendant for only a few days my sprained ankle was at almost 100% and I began to notice an increase in my performance and strength levels in the gym. Surprisingly, I began lifting what I had been lifting when I was at my peak while I was on the football team. Unfortunately, I lost the pendant after a couple weeks and my ankle started to bother me again and I also noticed that I wasn’t jumping the same and that I had lost some height on my vertical jump. I contacted Rob and he checked me over and told me that he felt that my glutes were not firing properly as a result of my ankle sprain and this is what was affecting my vertical jump. He gave me a new Pendant and once again in no time, all my muscles were firing, my ankle was at 100%, my vertical increased to even higher than it was before, and my performance and strength levels were back up! Take it from me this stuff really works! Who knows how long my recovery would have taken if I wouldn’t have gotten in contact with Rob. All my friends and former teammates were also impressed with how my jumping ability and my numbers in the weight room had increased in such a short period of time. I was highly impressed than and Robert has off and on helped me with other little aches and pains and imbalances since then. When Robert first told me about the Pure Harmony Pendant a few weeks ago, I could not wait to get one. Finally about 2 weeks ago, I received my pendant: I felt light headed the first 3 days and then on the morning of the 4th day I noticed that I felt like 15 pounds lighter, I thought that I was walking on air. I would lift my arm and it felt so light, as though there was nothing there. My waterskiing also improved to a point where I am more fluid in the whole pass and my recovery time is a lot shorter! I am skiing now the best that I ever have! I weight myself after 2 weeks and I lost 6 pounds of body fat, I am 51 years young 6’1’’tall and I am down to 168 pounds, which is the lowest since my high school days! The call from Robert couldn’t have come at a better time! I was suffering from plantar fasciitis for the second time in two years. After going through this the first time, I knew the only way to heal it was to stop running. As soon as the pendant arrived, I harmonized and haven’t taken it off since! Within a couple of days, I started running again with mild pain after. As soon as i started taking moomyio with the pendant, I had a brand new foot! I’m not good at being patient. I pushed my mileage more and more and overcame my injury! Any runner will tell you that the only way to get over PF is to stop running. I did just the opposite and have enjoyed my 50 plus mile weeks again! So thankful for Robert and the pendant!